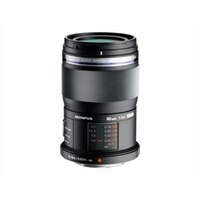 This high quality macro lens is ideal for shooting under a wide range of conditions, including other applications such as landscape and portrait shooting. Featuring a closest focusing distance of 7.4 inches, excellent close-up capability with 1X magnification, and dust-/splash-proof construction. This lens incorporates 13 lens elements in 10 groups with extensive use of special glass materials such as ED (Extra-low Dispersion), HR (High Refractive index) and E-HR (Extra-High Refractive index) elements to completely eliminate the chromatic aberrations that can be noticeable with telephoto macro lenses.